Everyone make sure you have a completed permission slip and a completed USAU Medical Authorization form turned in to Coach Chappell otherwise you can't go on the trip and can't play. We will be leaving from Woodside as soon as possible after school on Friday Sept. 28, 2012. It may be more like 3:30 this time as Coach Chappell has to make it out to Hampton to help get the vans. We will get back to the school as quickly as possible though. We should be back at Woodside for pickup on Sunday Sept. 30, 2012 at around 11 if everything goes smoothly, players will call their parents approximately 30 minutes before arrival at the school. Bathroom necessities - toothbrush, shampoo, soap, toothpaste, deodorant, etc. You can check out the schedule for this weekend on their respective USAU Score Reporter page. Take a vote and see if people want to have a Saturday morning practice, 9am-12pm. If we can have most everyone there tell them its on and let me know. 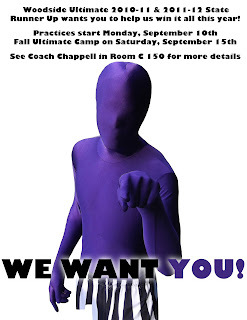 We only have 5 practices before the tournament so an extra one Saturday would be very helpful. Short 4 Corners - keep the throws short, 15-20yds, you can extend it to 25-30 yds at the end. 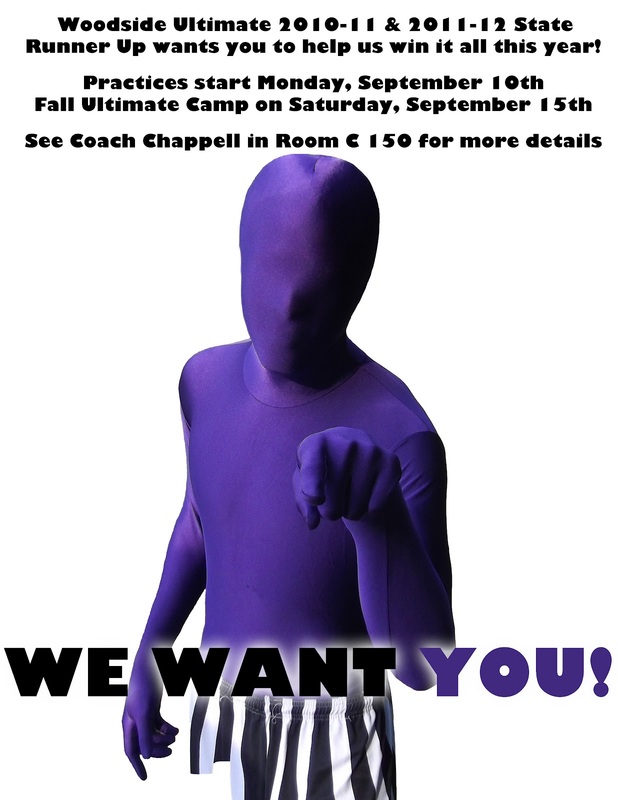 Dues: The amount of dues will be as follows, Varsity Guys - $40, JV Guys - $30, Girls - $40. Dues help pay for teams to attend tournaments including travel and lodging, they help support our home tournaments inital startup costs, and pay for our indoor event that we do in December. 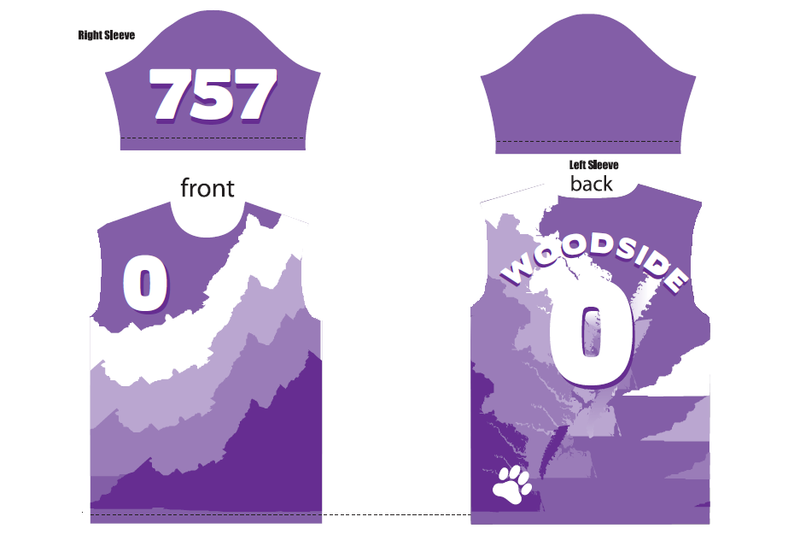 Jerseys: We have decided to try and split the cost of uniforms this year, normally we would get a dark and light jersey and shorts all at once some time in early spring, this normally costs $60-70. This year we will be getting a dark jersey in the fall at a cost of $36 and a white jersey and shorts in the spring at a yet to be determined cost. We believe breaking up this cost will help lessen the burden at any one time for paying and allow us to get jerseys ordered quicker. 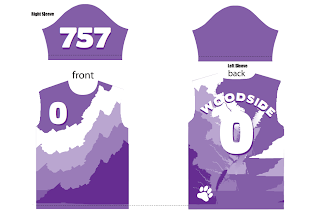 Please fill out the Google Doc in the Jersey post with your name, size, and number immediately and get your payment to Coach Richard or Coach Chappell so we can get the jerseys ordered. Tournaments: Check the Calendar page to see where we are planning on going this fall, where we are staying, when we plan to leave, and expect to return. As always we would be extremely appreciative of any parents who want to attend a tournament and help ease the transportation needs of the team. We will be bringing a couple of our new players to NJ with us the last weekend in Sept., however any of our new players interested in going to NJ are welcome to attend and get the tournament experience and possibly a chance to play a few points if they have a parent willing to bring them to the tournament. Volunteers: We will need some volunteer help for our tournaments Oct. 27-28, Nov. 3-4, and Nov. 10-11. Main tasks are tournament administration type things like timing of rounds, collecting scores, selling concessions and tournament gear, etc. We will have undoubtedly have some of our returning players parents there to help any new parents learn the ropes so don't worry about knowing what to do, we would love your help, and to see you out supporting the teams and your kids. There will be plenty of chance to see you child play even while volunteering. We are going to be getting some fully sublimated jerseys this year for our darks. We have a great design which you can see below. We will be sticking with one of our classic designs for the whites and shorts which we will order later in the year. 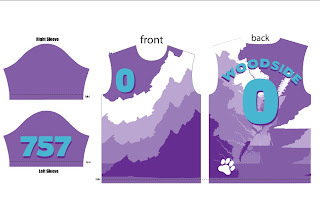 The price is $36 and needs to be paid ASAP in order to get the jerseys in time for Tidewater Tuneup. You can give your size and number info in this Google Doc. Number preference for current players will be based on years playing for the team. We will also be letting any alumni interested order a jersey at the same cost as the team, you must also pay in full prior to the order. Fill out the google doc if you are interested and highlight your row in light yellow. Wagonwheel - we ran this on Mon., 5 short cuts then a deep cut. The new season is about to start, hope everyone is getting fired up and recruiting some new players for the team.